My girlfriend’s and my first Christmas tree together. Happy! Sitting on the couch we’ve got a view of the Christmas tree with the Space Needle standing tall in the window next to it. I love this apartment. Perhaps if you’d taken the picture from a lower angle, the tree would have looked bigger. Honestly, nothing is going to make it look bigger. It’s a very little tree. 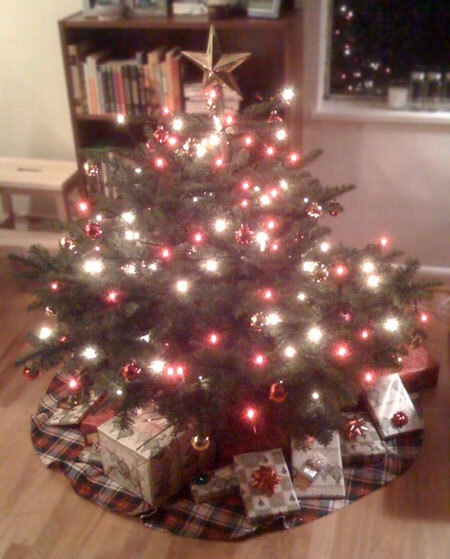 Which is fortunate, since the apartment would be extremely claustrophobic with a full size tree.